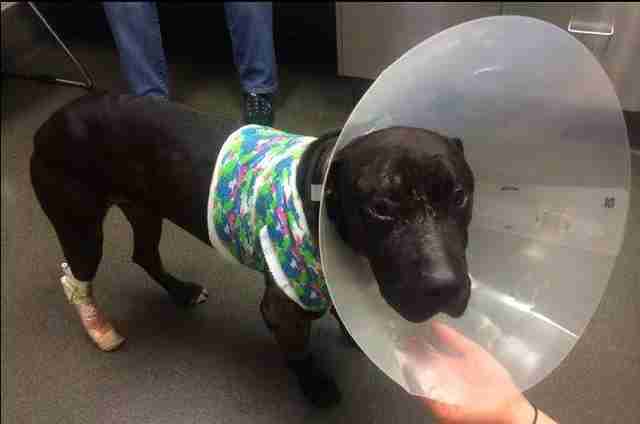 A Pit Bull On The Brink Of Death Wagged His Tail. It Saved His Life. 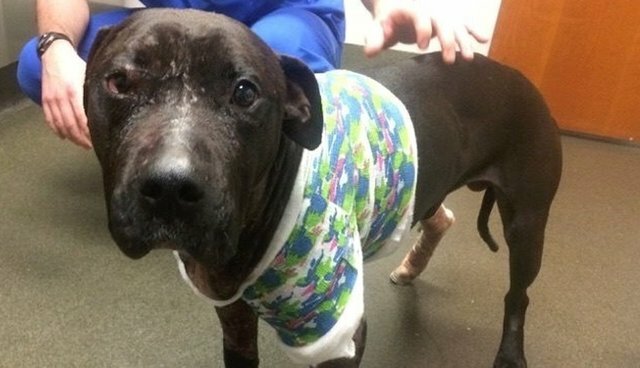 A fiercely loving pit bull is winning the fight for his life - after being brutalized as bait in illegal dog fights. When police busted a dogfighting ring in a repurposed New Jersey car wash on May 1, they found two skinny pit bulls in cages, syringes of steroids nearby. 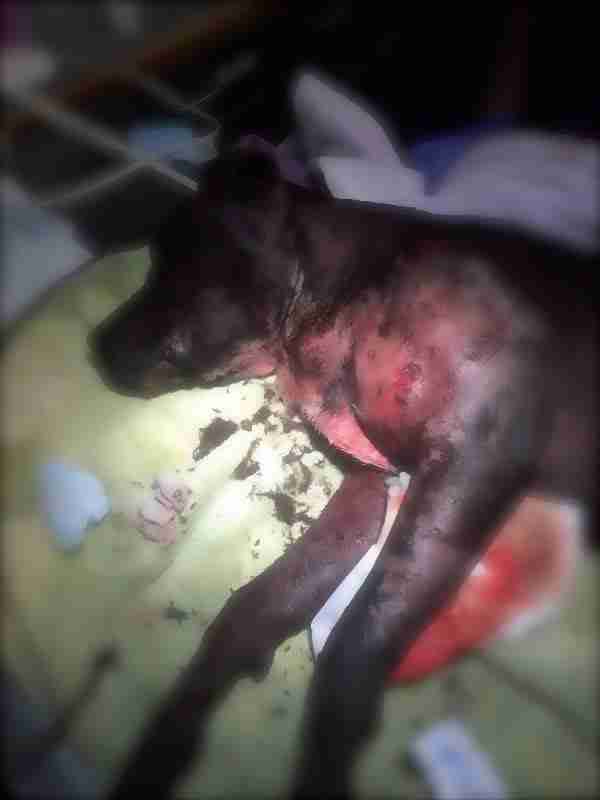 A third - used as a bait dog in the horrific fights - was cowering on the concrete floor. "They didn't know what color he was, he was so covered in blood," Amy Hofer, founder and president of A Pathway to Hope, told The Dodo. Even in the car ride to the shelter - where he was to be euthanized - the pup found the strength to wag his tail and lick the officer's hand. Animal control decided to give young Jude a fighting chance. "Jude has a 50% chance of survival and is at risk of dying from sepsis or shock," the rescue group reported via Facebook late that night, after rushing him to the hospital where he remains in treatment. His lungs punctured by teeth, sepsis took ahold by May 7. Jude is also struggling with two blood parasites, liver and kidney complications. "We are just trying to get him stable," said Hofer. "He's been doing better each day." 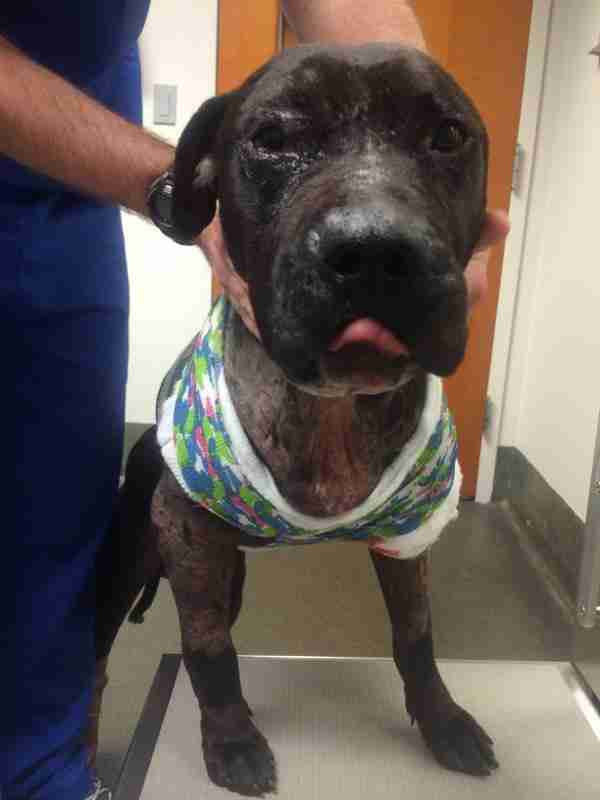 "With all the pain that he went through at the hospital, he never snapped or growled. He's the sweetest dog ... He was just really sad for a while," Hofer explained. 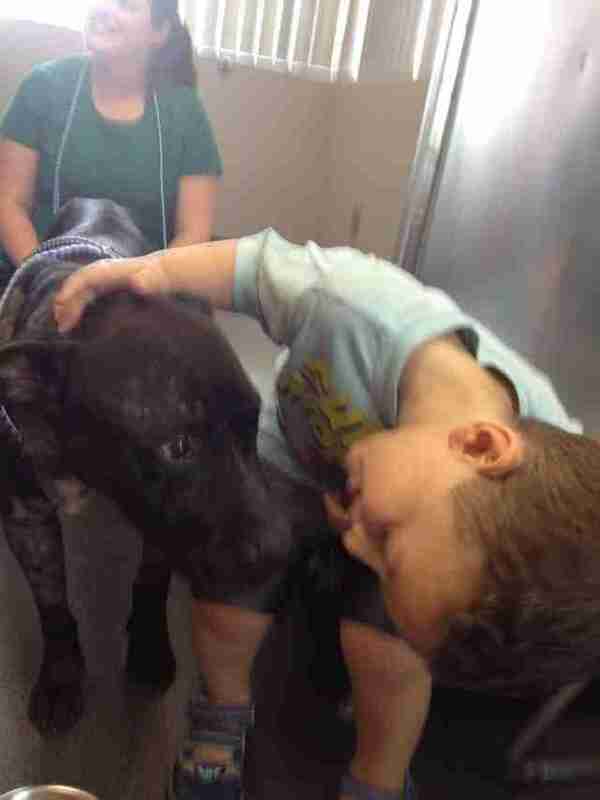 But when Jude met his foster family on Friday, "we knew he was going to be OK," she said. Their love appeared to give him newfound strength. "He wanted to leave with them," said Hofer. And he will - as soon as his health allows. Tragically, the other two dogs rescued from the raid were not so lucky. 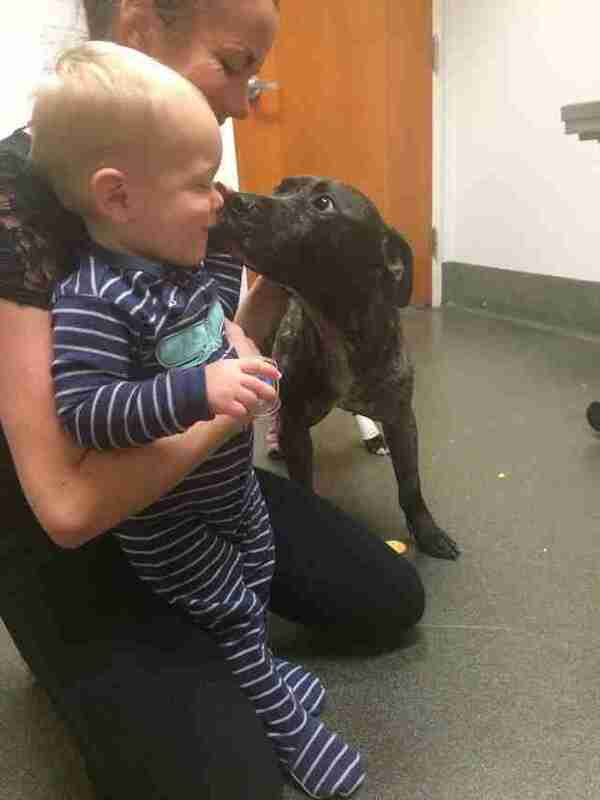 On Monday they were stolen from the Paterson shelter, where the pit bulls were waiting for foster homes. 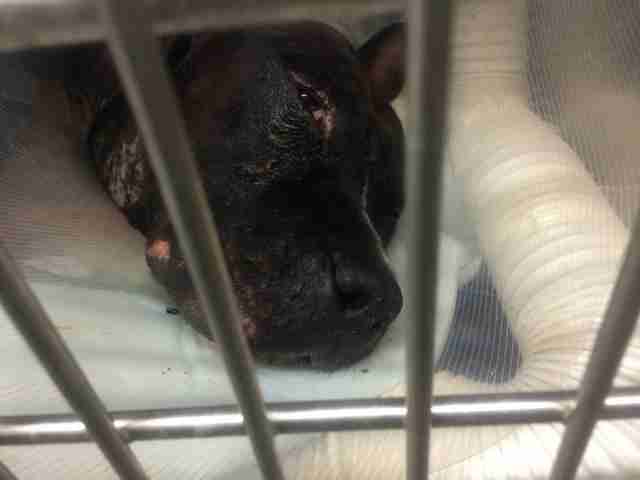 "There's no fate worse than having to go back [to dogfighting]," said Hofer. The shelter is reviewing its surveillance footage in the hopes of identifying the criminals. Jude is an unlikely survivor. Click here to donate toward his vet bills, which Hofer estimates at $10,000 and climbing.